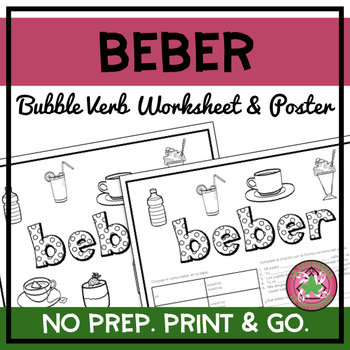 Use this handout with students to practice the verb beber. Students will enjoy coloring the bubble letters. This download has 2 versions. 1. Bubble Verb with conjugation chart and 5 complete the sentences and 2 personal questions. 2. Bubble Verb Poster to color. Each version worksheet and poster has options with images to represent the verbs.